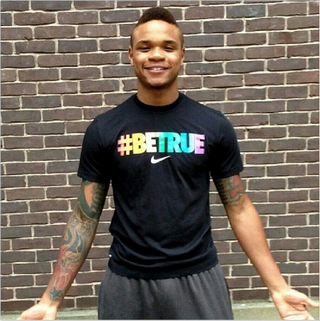 Derrick Gordon, a sophomore starter on the UMass men's basketball team, has announced that he is gay. I just didn't want to hide anymore, in any way. I didn't want to have to lie or sneak. I've been waiting and watching for the last few months, wondering when a Division I player would come out, and finally I just said, "Why not me?" This makes Gordon the first openly gay player in Division I men's college basketball. Gordon was a starting guard in all 33 of the Minutemen's games this season, averaging just under 10 points per game.